I love earning an additional income on paid survey sites, but after a while they all start to blend into one another. There are only so many surveys you can fill out before you need a break! That’s where sites like Cashcrate fit in perfectly – while they do offer surveys, the real focus is on other diverse areas. Here is why they are a great site to join – especially if you use it along with other paid survey sites. Cashcrate has been around since 2006, and has over 2 million users. Unlike the usual survey sites, it makes offers from affiliate businesses available to members in exchange for cash, as well as providing other money-making tasks to supplement your earnings from surveys. That basically means that you don’t need to fill out endless surveys to be rewarded – in fact, users often get the most value out of other areas. Cashcrate is absolutely not a scam! They have a very large membership and have been around long enough to have a respected reputation. 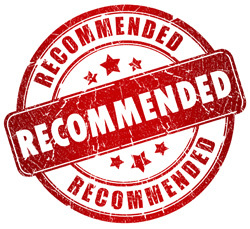 There are many good reviews, mine included – people really do make money with Cashcrate. While I would recommend using this website along with other sites, it is still definitely a good way to earn a bit of extra money. No points – earn cash, with a cash payout. Cashcrate offers a central place where businesses can offer cash rewards for signing up or testing their services. Sometimes these offers require a payment – they are clearly marked with a “$” sign next to them. The business might charge $6 a month for you to sign up to play games on their website, for example – but the payout could be $14, leaving you with an $8 reward. Offers are for a huge range of business and services, including signing up for different quotes, entering into competitions, being rewarded for signing up to receive newsletters, and many other opportunities. The offers that require payment tend to give the highest rewards. Offers do take you off the Cashcrate website to the third-party website, so be sure that you are comfortable providing these companies with your personal information. Cashcrate offers one of the best referral systems available. For each referral that signs up through the link you provide, they will give you 20% of their earnings. If someone signs up through a link that your referral gives out, you will earn 10% of that person’s earnings as well! There are also cash bonuses and rewards for hitting milestones, like a $3 payout when your referral earns their first $10. Some referral features on other sites are not worth putting too much effort into, but the Cashcrate referral system is definitely worth asking around your friends and family, or putting up affiliate links if you have a website or blog. This is basically passive income for you – you are earning money just for providing someone with a link! This referral feature sets Cashcrate apart from the rest. I signed up using a link I found on a trusted site – signing up was free and easy to do. I gave my usual profile information, confirmed my email address and started browsing. I found the site easy to understand and very easy to use. Within minutes I was browsing offers and looking at the available surveys. I selectively chose some offers and everything went as promised – they were easy to sign up for, I was credited with the correct amount of money, and the account I made through the offer was closed without any issues when I no longer required it. I did like some of the offers – I am still signed up to a financial service offer and loving their business. I have yet to reach the cash-out limit of $20, but I am still relatively new, and I definitely plan to keep going with it. It can work for you if you use the system to your advantage. Before you sign up, make sure you set aside a dedicated survey email address, so that your regular address is not flooded with correspondence. Be selective with the kinds of offers that you pursue. If you get locked into a long-term contract with a shady company, it could well cost you more money than you earn. Common sense is required, but Cashcrate will earn you real rewards if you stick with it. There are so many ways to make money from the site that the real question is, how to make the most money. Stay away from low earning features. Cashcrate offers some areas that you might find are worthless of your time. Watching advertisement videos or chatting with the community are great if you enjoy them, but as a way to make money they fall short. Rank offers by earnings. If you rank offers based on how much you will make for completing them, you can quickly decide which project to work on next. Complete surveys. The surveys that are emailed to you are more likely to have been pre-screened – therefore you are more likely to qualify for them, instead of wasting time in pre-qualification questions only to be turned down. Keep your profile up to date. Like all market research sites, who you are matters. You are targeted based on your demographic information – your gender, where you live, how old you are, your marital status etc. Keeping your information up-to-date on these sites is important to help ensure the offers and surveys are right for you. Cash payouts – no confusing points system. Off-site signups for rewards that require personal details. Payments are processed on one day of the month, so you could wait a while. There is nothing inherently unsafe about using the site, and all the affiliate companies they use are endorsed by them. However, when giving out information online it is important to understand how to be as safe as possible, to maximize your experience. Have dedicated accounts. Having an email account set aside just for survey invitations etc. is a must. That way, your regular email account is not flooded with invitations and links to affiliate sites. You might also consider using a debit card instead of a credit card to pay for offers that require purchase – in the very unlikely event that your information is misused, you can easily control the amount of money that is in the account. Set reminders to cancel offers. If you take up a paid offer, you are responsible for canceling your subscription if it is no longer necessary. Set clear reminders in a calendar so that you will remember to close your account with the affiliate site. That way, you will always earn more than you spend, although you never know – you could find some great offers that you choose to stick with! If you are over the age of 13 and are looking for a varied way to earn money online, Cashcrate could be the solution. While it is available worldwide, the highest-earning offers are most likely to be from the US or other predominantly English-speaking countries. This is simply because companies are often willing to pay more to get into the market in these countries. I would definitely recommend Cashcrate, but especially combined with registrations on a number of other sites. You will mostly find that other dedicated paid survey sites will pay slightly higher, so it would be the best use of your time to fill out the highest-earning surveys first. The offers are mostly worth pursuing – but spend some time on the site to decide what areas are right for you. 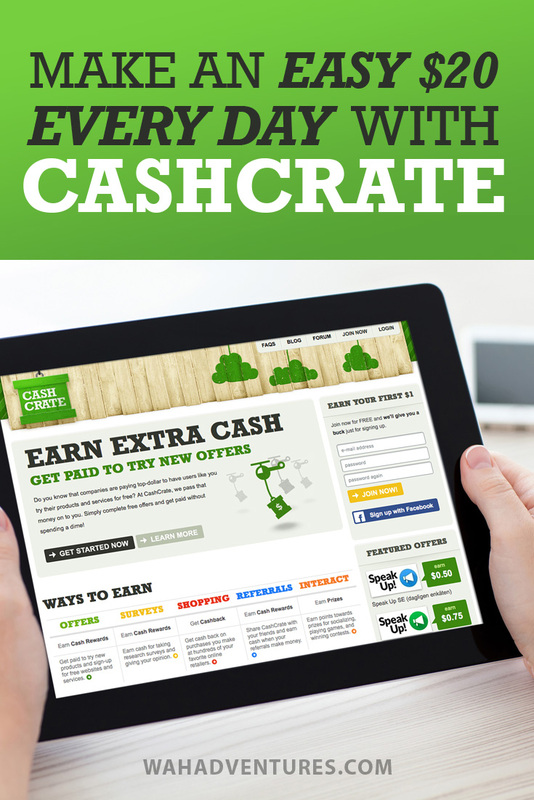 Cashcrate is a great site for earning a small additional income, especially when paired with other paid market research sites. It’s free to join, bursting with great offers, and will pay you real cash for giving a small amount of time, effort (and sometimes cash) in order to earn greater rewards. Cashcrate is a recommended company that you really should consider giving a try.